One of my subscribers actually suggested these [tag]basketball coaching tips[/tag] recently. 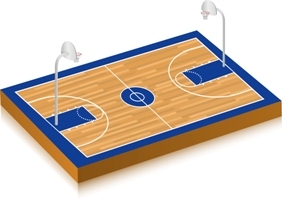 I’ve included these [tag]basketball conditioning drills[/tag] for you below. 3) Trivia about your [tag]basketball[/tag] program or big moments in basketball history – it has helped me to get my kids realizing the tradition of the school they are playing for. At the beginning of [tag]basketball practice[/tag] I give the kids a Question & Answer, then at the end of practice they have to recall it – if not, conditioning of some sort. I have incorporated other game shows into this as well, like they can use a “lifeline” if they can’t remember the answer. The kids enjoy it and occasionally they try to stump me!